David R. Solheim has published poetry in over a dozen literary periodicals. In addition to the books offered on this website, the Territorial Press (MN) published two chapbooks of his work, On The Ward (1973) and Inheritance (1987). His work has also been included in several anthologies. He received the John Hove Writing Fellowship from the North Dakota Council on the Arts and was an international exchange artist in Winnipeg, Manitoba. He was the North Dakota Statehood Centennial Poet and is an Emeritus Associate Poet Laureate of North Dakota. He has also published an interview, book reviews, and essays in several periodicals and edited anthologies of creative writing. 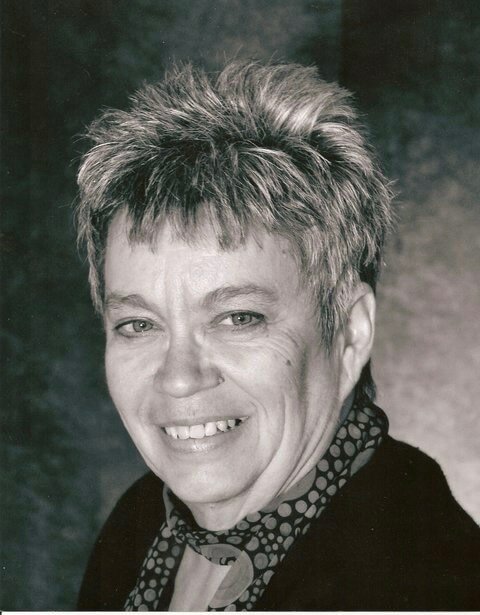 Solheim also had an award-winning teaching career of over 30 years, most of them at Dickinson State University and is a DSU Emeritus Professor of English. He traveled to the Peoples’ Republic of China with a North Dakota University System Faculty Group and was a visiting professor at Northwest Agriculture and Forestry University in Yang-ling, China. He has conducted creative writing workshops for kindergarten through graduate students, and for the general public including the elderly. He holds degrees in English and creative writing from Gustavus Adolphus College, Stanford University, and the University of Denver. He and his wife Dr. Barbara Laman (also an Emeritus Professor of English at DSU) live in St. Peter, MN. Between them, they have five adult children and five grandchildren. Having retired after more than forty years of teaching at Dickinson State University,L. 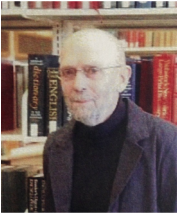 Ray Wheeler is an Emeritus Professor of English and Philosophy and chaired the Department of Language and Literature for several years. The founding editor of The Dickinson Review, he received a Jerome Foundation Fellowship for study at the Minneapolis Playwright' Center and a Remele Fellowship from the North Dakota Humanities Council. Wheeler has published poems and short stories, and written a novel and five plays, most of which have been staged ﻿by college and university theater programs. Wheeler has also presented many public humanities programs including dramatic characterizations of historic persons. He holds degrees from the University of Kansas, Pittsburgh State University (KS), and the University of North Dakota. He has been an avid gardener and bird watcher, and was a charter member of the Lunar Society. He continues to reside in Dickinson. Actor, writer, and lecturer Margaret M. Barnhart teaches writing and literature at Dickinson State University in Dickinson, ND. Her poems, short stories, and personal essays have been featured in several regional publications, and an excerpt appeared in the nationally released anthology: Leaning Into the Wind (Houghton Mifflin, 1997). In 2010 she published the historic novel Under the Twisted Cross based upon her father’s experience as a POW in Germany during World War II. She has served several seasons as a Writer-in-Residence for the North Dakota Council on the Arts and five years as writing curriculum designer and teacher at the International Music Camp in the Peace Gardens on the US-Canadian border. Margaret resides in Dickinson with her husband Pat. They have three adult daughters, three grand children, two cats, and an extensive home garden. They continue their shared interests in music, reading, writing, and community theater. 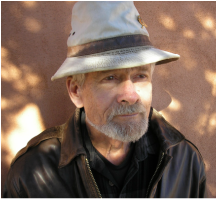 ​ Michael Kincaid is a pre-Socratic, post-American poietes who, for the moment, is living in New Mexico. His engagement with the work of Heraclitus (There Are Gods Here Too, 87 Greek fragments with new translations and commentary) is a chapter of that pursuit, that study, and that answering. The most recent chapter, published by Nemesis, Lightning Dialogues: Claims and Reclamations, is also available through this website. Steve Robbins is a retired English professor. He taught at Dickinson State University, Dickinson, North Dakota, and community college and high school English in Kansas. He holds degrees from the University of Kansas, Pittsburg State University, and Oklahoma State University. A former journalist, he has also collected oral histories for the Carbon County Historical Society. He currently lives in Red Lodge, Montana, with his wife Susie and dog Rosa. He has two adult children, one an artist and one a music professor, and two grandchildren. Presently, he is interested in graphite pencil drawing, writing plays, and reveling in the wondrous natural beauty of Montana.